By Elisabeth Winkler There was a time when the land belonged to all. People grew food and grazed animals, to eat, to live. They did not pay to use these commons. Then the land grabs started. With legal stealth and physical violence, enclosures were enforced over several centuries in Britain. The commons were seized, and became private property. The might-is-right lords became wealthy and grand on the fat of the land. Fast-forward to the 21st century. One of the problems of producing food in the UK is the lack of available land. Who will be lucky enough to inherit? Only 0.6 per cent of the population own 50 per cent of rural land. Accessing farm land is hard. Investors buy land to lock up their money, using it like a savings account. Land becomes prohibitively expensive and makes it difficult for would-be farmers to find a foothold. Is land a community resource for many, or a commodity to be bought and sold to profit but a few? I bring encouraging news: it does not need to be this way. 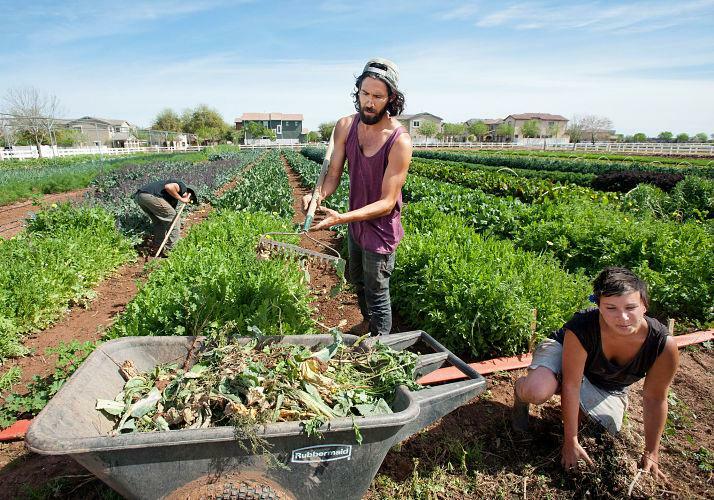 Community farm ownership seeks to break the land-as-investment deadlock and return the commons to the people. Let’s take a closer look at this model by examining Rush Farm in Worcestershire, then Huxhams Cross Farm in Devon. Rush Farm is an 150-acre mixed traditional biodynamic and organic farm in the heart of England. It used to be owned by three siblings, Sebastian, Tabitha and Sophie Parsons. In 2012, they joined with the Biodynamic Land Trust, a charity that secures sustainable farmland for generations to come, to form Stockwood Community Benefit Society Ltd. In 2013, Stockwood Community Benefit Society successfully raised £2.6 million to buy Rush Farm and its ethically-run business park from the Parsons family. How? Ethical loans kickstarted a process that was completed through the sale of community shares to the public. Unlike commercial shares, community ones cannot be sold, and do not go up-and-down in value. Community shareholders are supporting sustainable farms with non-profit shares. Now, secured in trust, Rush Farm and its business park can neither be passed to the next generation as an inheritance, nor sold to profit the owners. Stockwood Community Benefit Society, with the Biodynamic Land Trust as custodian, ensures the land remains as a community-owned asset, and a biodynamic and organic farm for generations to come. In this instance, it was a financial as well as a social investment. Stockwood Community Benefit Society has paid its shareholders 5% interest each year, thanks to the income provided by the business park’s rental. Surrounded by the beauty of the farm and nature, Stockwood Business Park is a rural hub employing over 100 local people, making it viable for them to live in the countryside. Stockwood Community Benefit Society continues to raise funds to make the farm ever-more-eco so there is still an opportunity to invest. Contact Rush farm for more information. The Biodynamic Land Trust’s latest community share offer is for Huxhams Cross Farm, 34-acres adjoining Dartington Hall estate near Totnes in south Devon. No financial return on investment is offered; instead, you get a glow knowing your money is doing good. If you want a return, you can mix-and-match as Sebastian Parsons explains: “Many of our members chose to blend their investments: for instance, they invest in both Stockwood’s 5% profit community shares and Huxhams Cross Farm not-for-profit ones.” Thanks to community investment, Huxham Cross Farm is going from strength-to-strength. 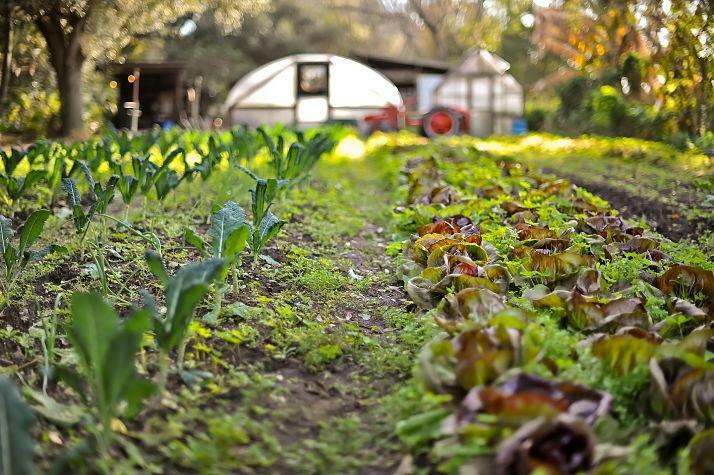 Using permaculture and biodynamic methods, it is reviving the soil. In less than two years, the fledgling farm has planted two acres of soft fruit, 900 orchard trees and 3,500 agro-forestry trees, and has a hundred chickens and two Shetland cows, Damson and Daffodil. It runs a weekly box delivery with neighbouring farmers of local vegetables, fruit, eggs and Dartmoor spring water. It has raised a barn and established a farm club where local children can learn and play in nature. Huxham Cross Farm’s tenant farmer, Marina O’Connell says: "If children are given the opportunity to make connections to nature and growing healthy food, then in the long-term this will lead to them having healthier diet, a broader palette, a greater sense of wellbeing - and it forms the basis for respect for place and nature." Huxhams Cross Farm aims to build a wellbeing and training centre where children, school groups, farm trainees, and others can gather for farm-to-fork activities, storytelling, wellbeing sessions, and training. It is also a place for on-farm processing of juices and jams - part of its mission to create a supply-and-sales network and be self-sufficient. The Biodynamic Land Trust’s original target is £150,000 - thanks to community investment, it has raised £52,000 so far. Please download the Huxhams Cross Farm community share offer, become a community shareholder member, and secure this inspiring farm for generations to come. Let us create the world we want to live in. Thanks to community ownership, we can return farmland where it belongs - to the people. --- Elisabeth Winkler is a freelance journalist published in all the UK broadsheets, Elisabeth Winkler was editor of the Soil Association for eight years, is an award-winning food blogger and, after working with numerous organic and green companies and causes, is now communications manager for the Biodynamic Land Trust.